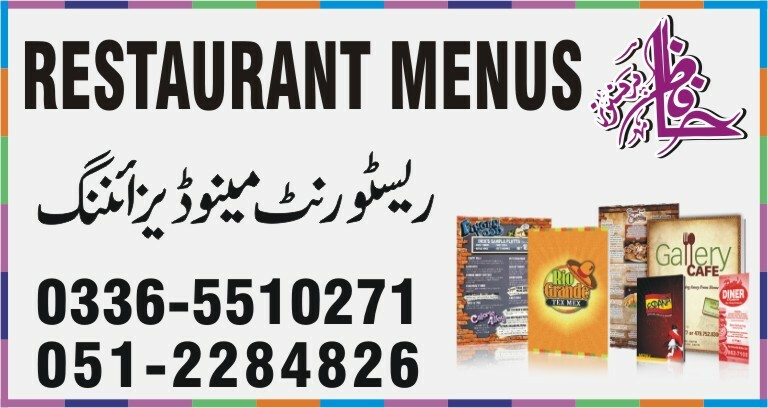 We Provide RESTAURANT MENU PRINTING Services in Islamabad, Pakistan. Very High Quality RESTAURANT MENU PRINTING Services In Low Prices. Next to the venue’s appearance, the menu card is perhaps the second thing customers look at more closely. If the menu card is appealing, assume that you have won the battle of impressing the customer half way. Be it a list of dishes available at a restaurant or the cool bar menu, for menu card printing. Choose us as your menu card printer and we will really make a difference making menu card special and speak for you.